Architecturally, the house is a witness to the times, reminiscent of the rise of Berlin to the metropolis. Built in the years 1897-1898 by Max Gosebruch, the style elements of the Wilhelminian style house are still staged today. In combination with plastered, richly decorated elements and bosses in the base area, the clinker façade stands out from the street. Inside the building, there are other classic old building originals: impressive apartment doors, turned staircases, glass art and murals tell the story of the house. On the border between Kollwitzkiez and Winsviertel our new project “Quadra” in Prenzlauer Berg offers the advantages of an inspiring metropolis and the familiarity of a homeland. The attraction is incomparable with other neighborhoods of Berlin. The streets with old buildings from the Wilhelminian era offer an ideal backdrop for a conscious and active life: countless cafes, restaurants, delis and ice cream parlors with specialties from all over the world invite you to stroll and idleness. Cultural sites such as museums and theater stages, the Mauerpark, specialist shops for design of all genres, recreational activities for children and young people, clubs and bars, studios, beautiful squares and parks. 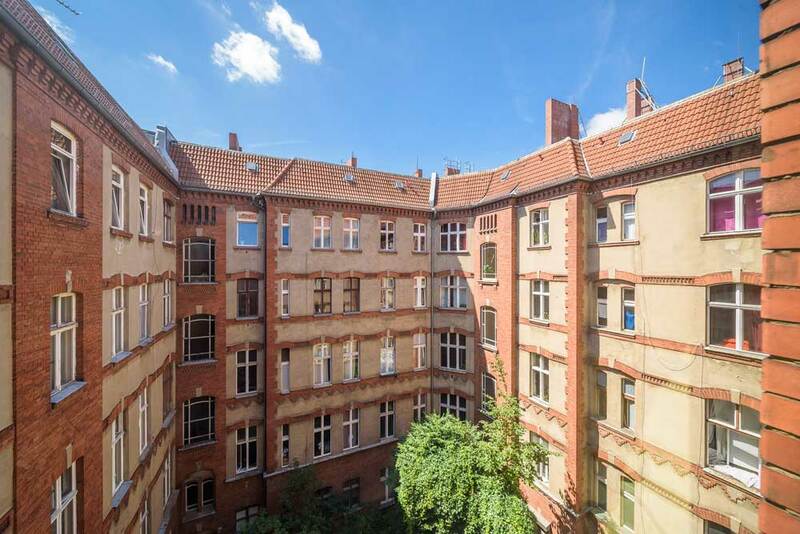 Hotspots such as Kulturbrauerei with “Frannz Club” and “Soda”, Prater, the Volkspark Friedrichshain and the Kollwitzplatz are within walking distance. The famous boulevard Kastanienallee invites you to shop and the lookout plateau in the idyllic park above the water tower to linger. Prenzlauer Berg is a district of endless possibilities in a city that constantly reinvents itself. Stylish it continues in the apartments. Depending on your own taste and needs, the house on five floors offers representative 3 to 5 bedroom apartments in different sections, attractive 2 bedroom apartments with large, bright rooms, charming 1 bedroom apartments that are true space savers or commercial units for new business ideas. 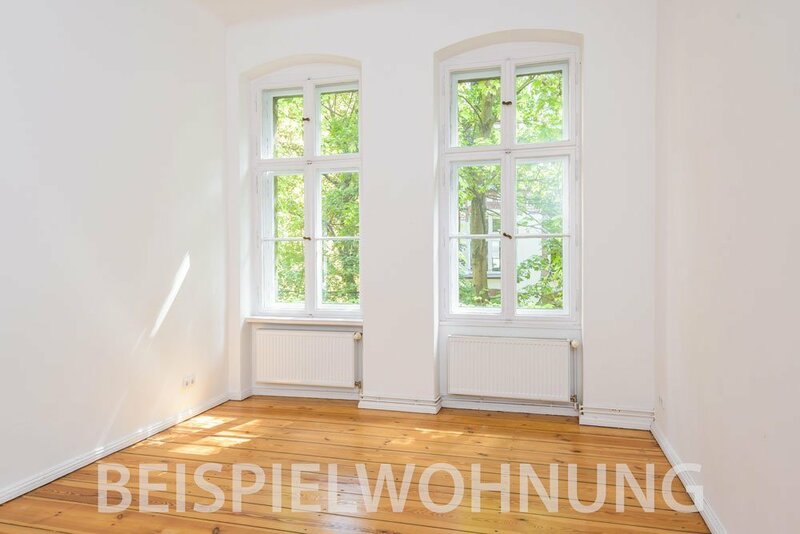 Between 39 sqm and 181 sqm everyone will find their own condominium or shop in the popular Prenzlauer Berg – for life or as an investment in their own future. The apartments are sold in their current state and are in different states, so you can move in either directly, after a renovation or after renovation / modernization. The house is a listed building and is located in the environmental protection area.